20 « May « 2015 « Nothing in Biology Makes Sense! “Take one look at a flying lemur, or colugo, sitting in a tree and it brings to mind a scrawny kid forced to wear his big brother’s hand-me-downs. 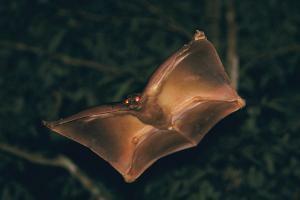 Flaps of skin hang around its ankles and get in the way as it clambers awkwardly around the forest. Read more over at the New Scientist!